We are conveniently located on the corner of Hwy 60 and 10th Street. Within walking distance of shops, river, boat landing, restaurants and marina. We have 26 sites, some drive thru, with electric, water, sewer and cable TV. 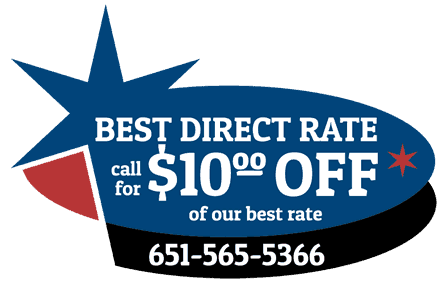 Daily thru seasonal rates available. Serving RV campers only. 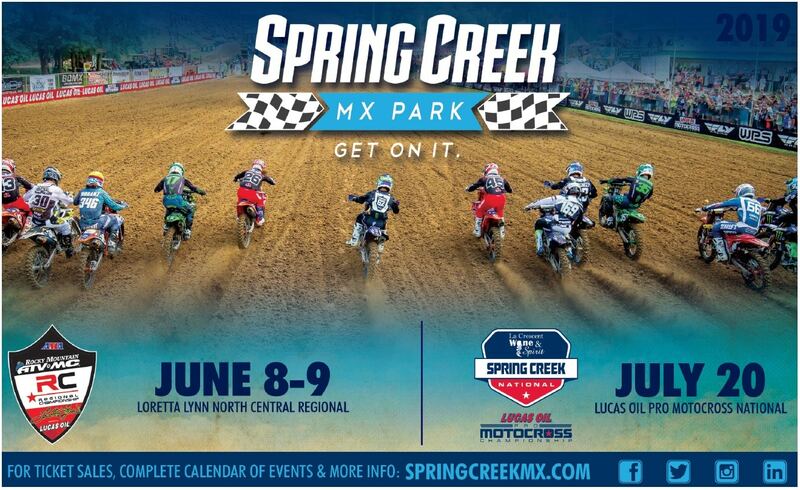 Come visit us soon! Big River Resort, is located in historic Wabasha, MN two hours south of the Twin Cities on the beautiful Mississippi River, surrounded by the Mississippi River Valley bluffs.This is the home of the National Eagle Center, and the community about which the “Grumpy Old Men’ movies were written. 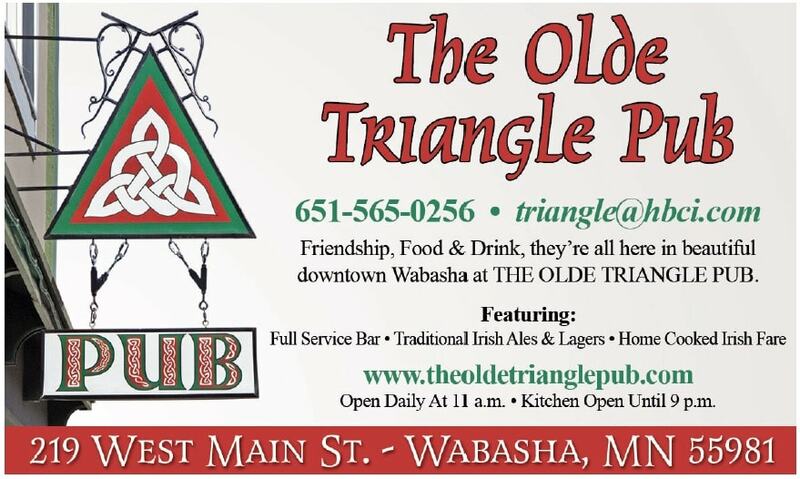 Wabasha is a quiet little rivertown, but never boring. 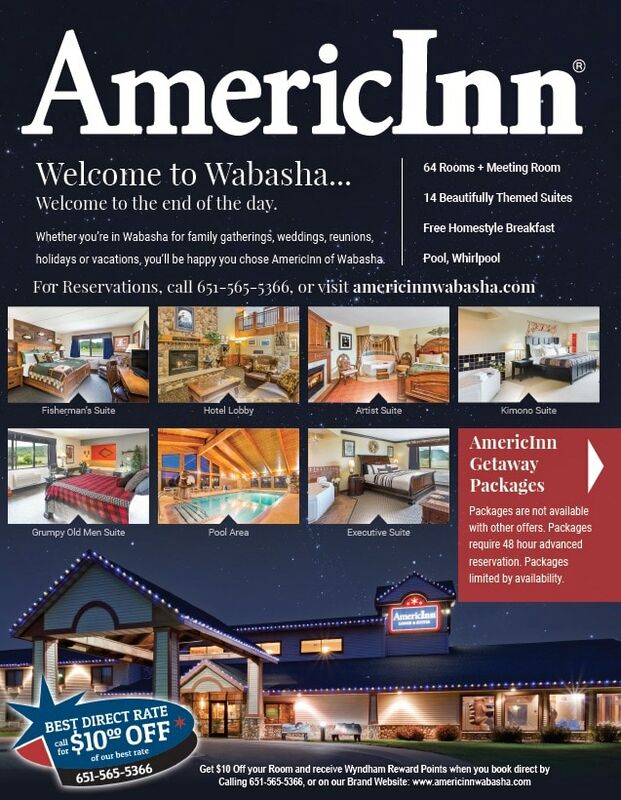 Check out the rest of our website to learn more about Big River Resort, and the Wabasha area. Make arrangements to come and stay with us – you’ll be so glad you did! 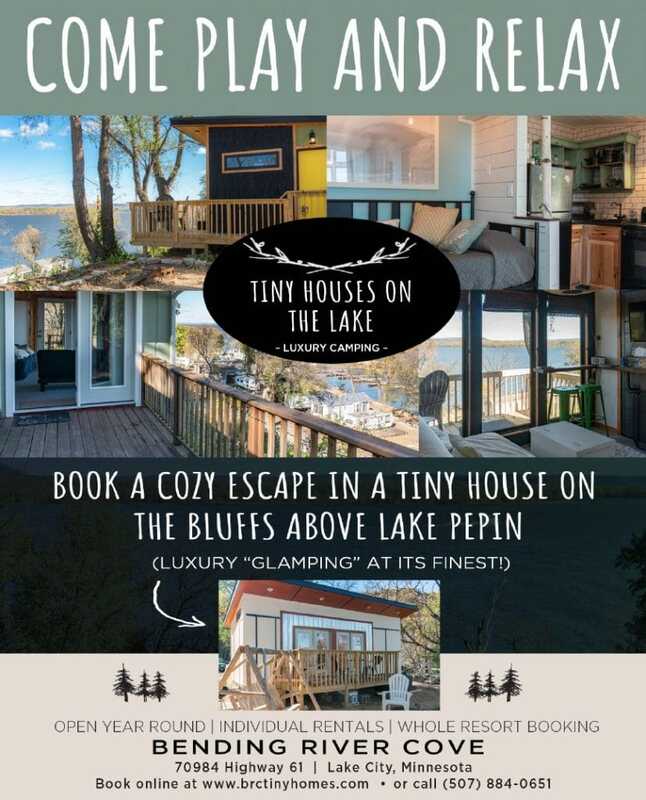 Big River Resort has room rates that are especially appealing to those who want some extra cash to order that special bottle of wine with dinner, or those who just want a quiet, cozy place to catch some zzz’s without costly added frills. Our Cabin and Downtown Flat give guests the option of staying in a more stylish, contemporary setting with kitchens to do their own cooking. 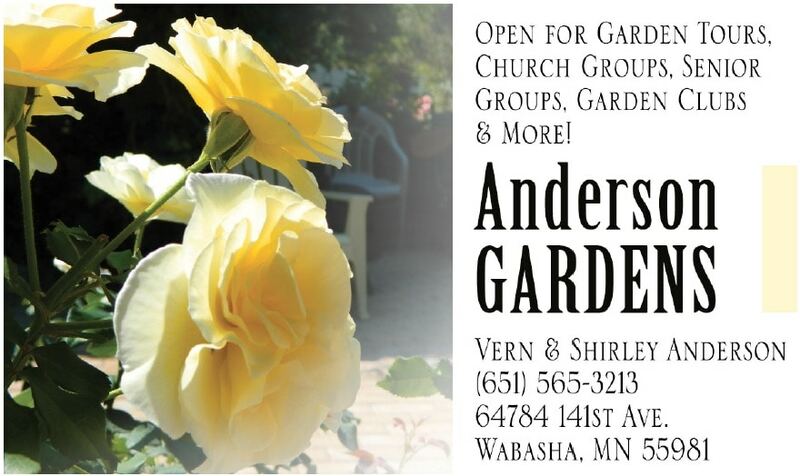 And finally, our full service RV Park offers guests a quiet, peaceful place to stay as they explore the many attractions of Wabasha and the surrounding area. Coffee Mill is a year around vacation Inn & Suites in Southeastern Minnesota, on the Great River Road in Wabasha, Minnesota. Coffee Mill provides family vacations, downhill skiing and snowboarding, fishing vacations, romantic getaways and honeymoon travel packages, eagle watching along the Mississippi River, live theater Shakespearean Festival or Jon Hassler Theater , antiquing the historic river towns, golfing the bluff country courses with panoramic views of the Mississippi River, hiking and biking the wildlife trails, and mouth watering restaurants with lake and river views. The Mississippi River Valley offers our guests year around adventures. Coffee Mill has hosted family vacations and reunions for over thirty years. 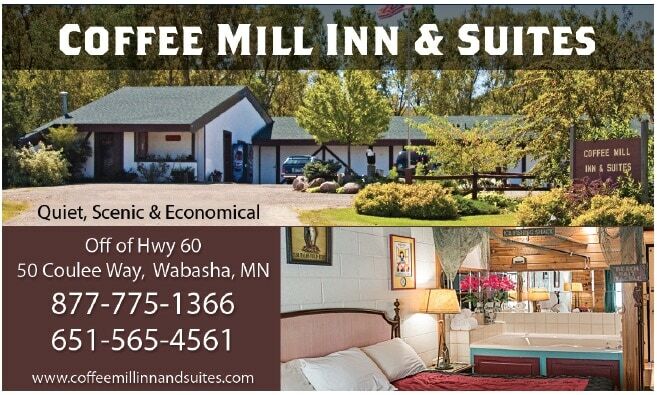 Guests have been coming to Coffee Mill in Wabasha for exciting adventures and romantic getaways for nearly as long. Our summer adventures in the Mississippi River Valley with its the vast wildlife trail systems, the Mississippi River for boating, swimming, fishing or canoeing, golfing, or sightseeing are sure to satisfy your wanderlust. Our winter vacations with skiing, snowboarding, ice fishing, eagle watching, sightseeing, live theater and more will be certain to become your winter highlight. Coffee Mill strives to provide you with your ultimate escape. Upon arrival in the fall, our guests will find the bluffs ablaze with the fall foliage. The Great River Road provides the best observations of the bluffs which are on both sides of the Mississippi River offering miles and miles of spectacular sightseeing. Reads Landing Brewing Company is located in a historic two story, store front building right along the Mississippi River. With an unobstructed view of the river, you can watch the boaters in the summer and eagles in the winter while enjoying lunch, dinner, or just an afternoon snack. Our menu offers a select list of locally produced fish, poultry, and meats. Our chef prepares each with a southern flare that even northerners will enjoy. Don’t forget to try our sweet potato tots with honey butter. They are fast-becoming a favorite! RLBC is brewing! Stop in for a nice assortment of craft and commercial brews also available in bottles. The unique selections will change often with the seasons. For those who prefer other libations, we have a full bar and wine list as well. Follow Reads Landing Brewing Co. on Twitter! Read About our Famous Catfish! 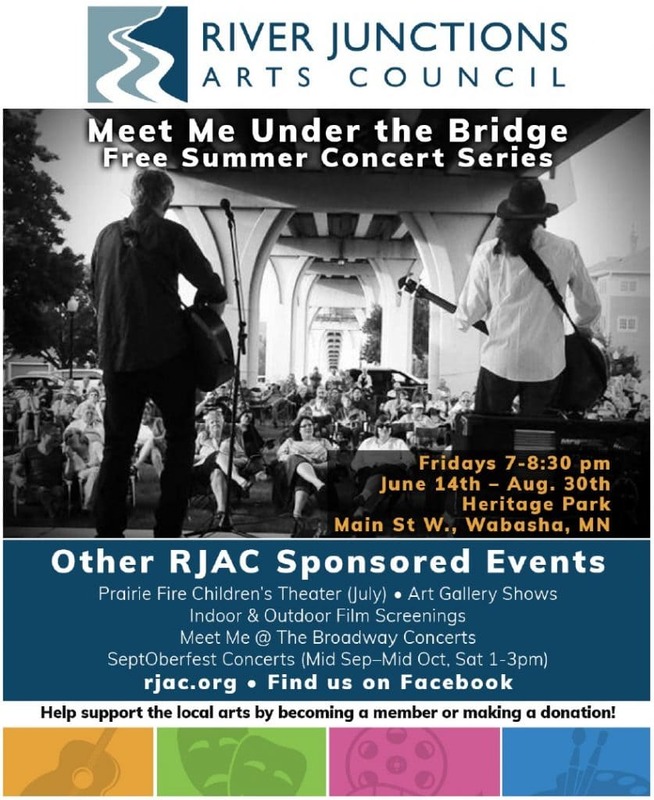 Free Friday Night Concerts Music Under the Bridge June – August at 7 p.m. 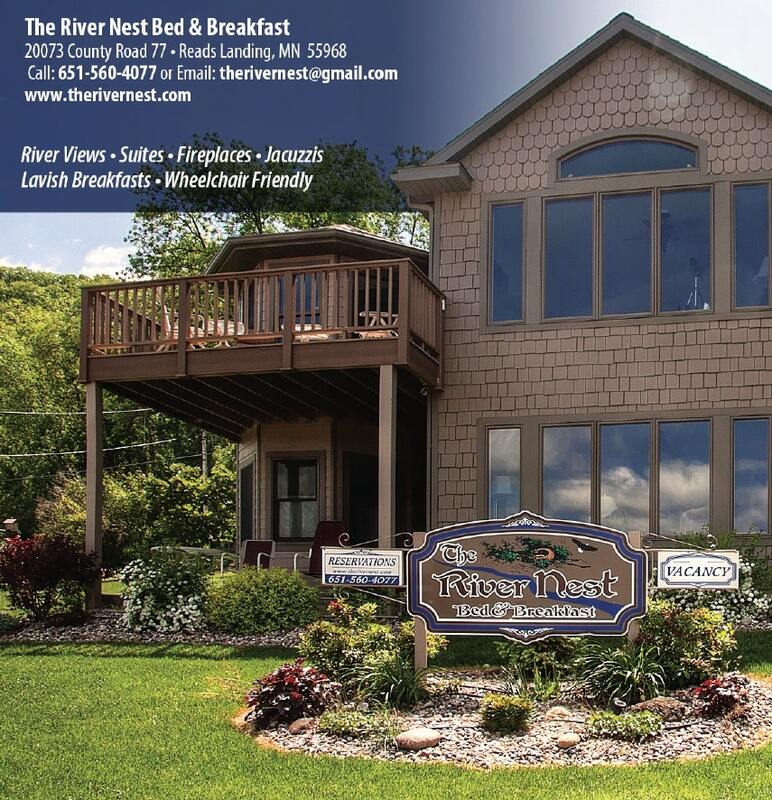 Welcome to The River Nest Bed & Breakfast website. Our B&B is located on the main channel of the Mississippi River, just 1 mile upriver from Wabasha, Minnesota, in beautiful Reads Landing. We are Carol & Bill Dunn, your hosts, and we built this extraordinary place in 2005 as our home and your getaway. Both guest suites afford stunning views of the river and exceptional privacy. For a scenic vacation, relaxation, or a romantic weekend, The River Nest offers the accommodations to make you feel relaxed and comfortable. Enjoy the private deck, or relax in the jaccuzi while you watch eagles flying over the river. Each suite has a fireplace, Jacuzzi, and sitting area overlooking the river as well as a private deck or patio. Both have a queen bed, full bath with walk-in shower, refrigerator, cable TV, DVD, free wifi, and separate zone heating and cooling controls (We’re “green” with Geo-Thermal heating and cooling.) The Terrace Suite is wheelchair-friendly. We deliver homemade treats and coffee to your suite an hour before a FULL breakfast in the main dining room, complete with dessert–just like Grandma Tillie served! Home-grown berries, apples, and vegetables are featured in our breakfasts. You won’t leave hungry!!! 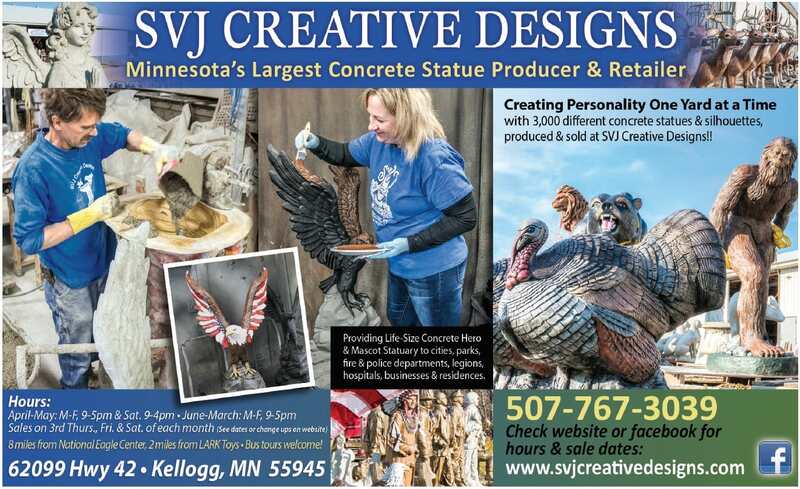 This area of Southeast Minnesota appeals to all interests from shopping to sightseeing, outdoor sports to theater and museums, wineries to fine dining, or just plain relaxing with a good book, the Mississippi Valley has it all. Winter or summer, the area offers the best in Minnesota and Wisconsin vacations. 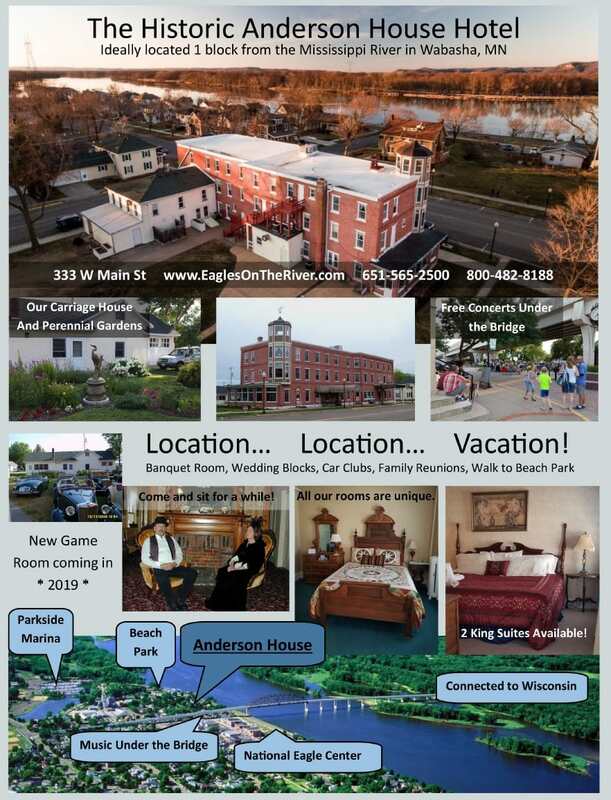 Located at the south end of Lake Pepin, we are 1.5 miles from downtown Wabasha and the National Eagle Center; 8 miles from Kellogg (LARK Toys); 10 miles from Lake City; 13 miles from Alma, WI; 15 miles from Pepin, WI (Laura Ingalls Wilder’s home); 20 miles from Plainview (John Hassler Theater); 30 miles from either Red Wing or Winona; 50 miles from Rochester (Mayo Clinic), and 80 miles from MSP airport. 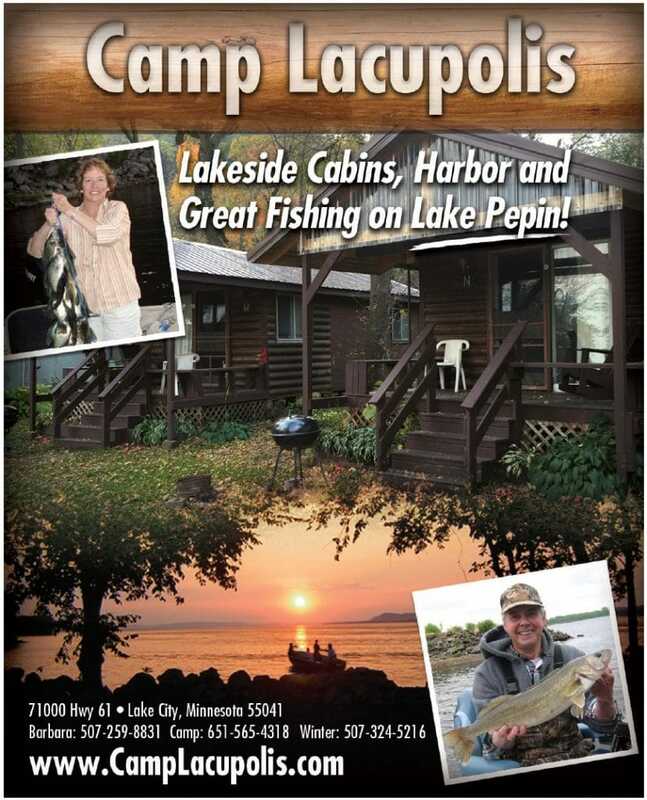 The entire drive around Lake Pepin is 86 miles, an afternoon’s entertainment with fantastic scenery and many quaint businesses. 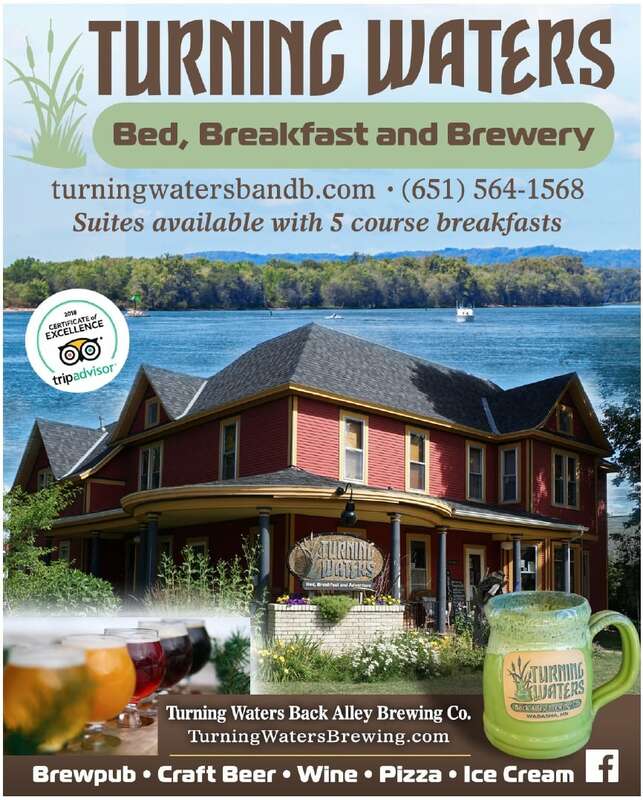 Welcome to Turning Waters Bed, Breakfast and Adventure, LLC, located in downtown Wabasha just a block from the Mississippi River and four blocks from the acclaimed National Eagle Center (NEC). Recipients of TripAdvisor’s 2016 Certificate of Excellence for receiving 5 out of 5 Star rating thanks to our past guests. Our home was built in 1902, however the modern amenities and offerings are similar to a 5 Star hotel, including our 5 course breakfast made with the freshest local, organic, non-GMO, ingredients we grow or can buy. We take into consideration your dietary restrictions, make delicious breakfast treats from scratch and offer a complimentary beer or wine to enjoy on our beautiful wrap around front porch. We also offer non-alcoholic refreshments. COMING SOON in FALL 2016, Turning Waters Back Alley Brewing Co, where we will be brewing our own craftbeer on premise. When you arrive, our home is your home. Enjoy the common areas of our home, watch a movie, play a game of cards, put a puzzle together, read in our library sitting room, or enjoy the front porch or garden area outside. Turning Waters Bed & Breakfast is surrounded by numerous State Parks within 20-30-minute drive for hiking, biking, fishing, bird watching and enjoying the great outdoors. Do you like to golf? The Bluffs at Coffee Mill are 5 miles away and/or courses within 20 minutes in either direction. 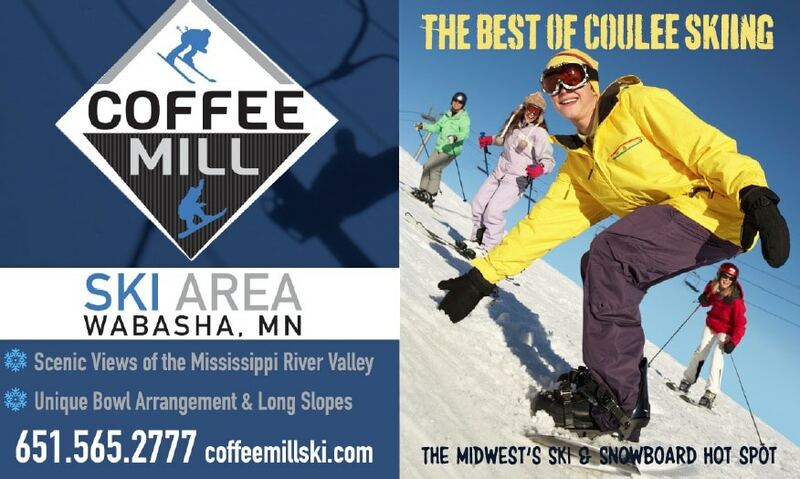 For our winter fans, we have Coffee Mill Ski Hill too. 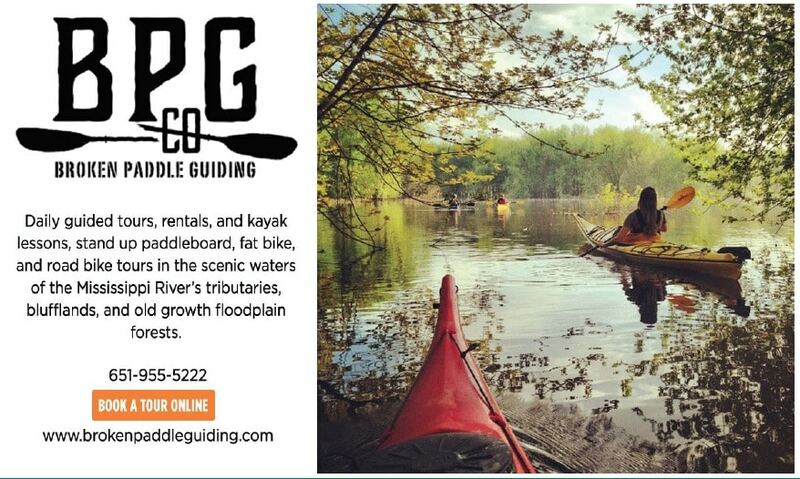 Kayak tours and rentals are offered locally. Bike rentals available in limited quantity. Wine and craftbeer tours in the area and foodie tours too on our Wino Wagon Hop Bus! 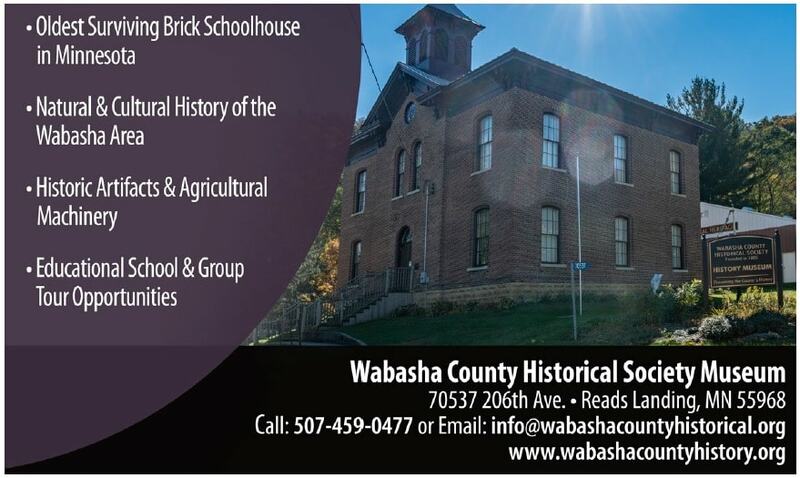 The mission of the Wabasha County Historical Society at Reads Landing Museum is to collect, protect, preserve, and interpret materials relating to the natural and cultural history of Wabasha County and its people. Lake City Minnesota’s Premier Condominium Resort. A great place to stay for a family vacation, a mid-week get a way, a week long wind down or a romantic weekend. Just an hour and half drive from the Twin Cities! 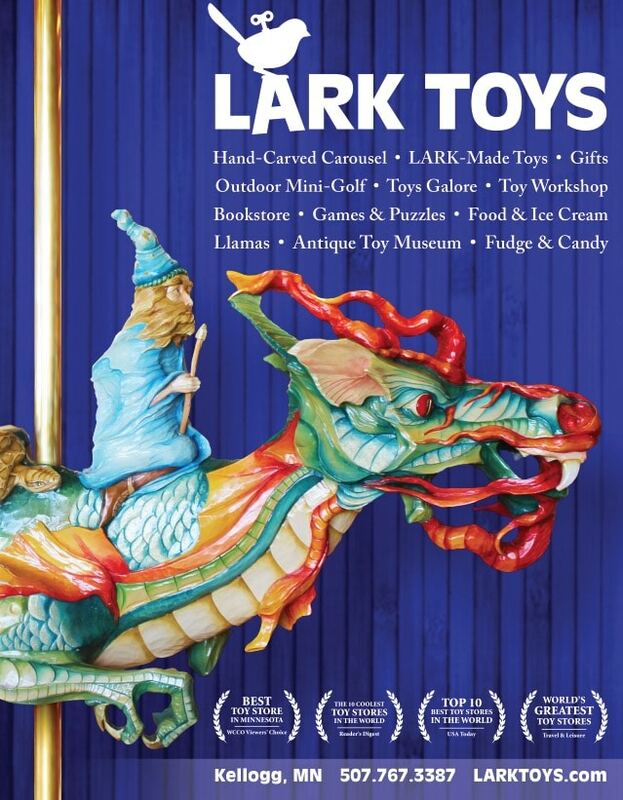 Play in the area and stay in Lake City!